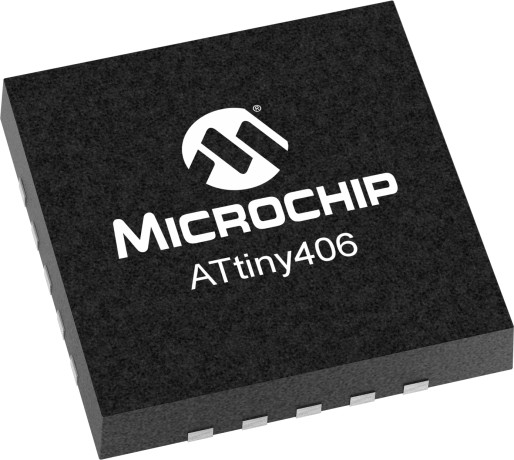 The ATtiny406 is a microcontroller using the 8-bit AVR® processor with hardware multiplier, running at up to 20MHz and 4KB Flash, 256B SRAM and 128 bytes of EEPROM in a 24-pin package. The series uses the latest technologies from Microchip with a flexible and low power architecture including Event System and SleepWalking, accurate analog features and advanced peripherals. The ATtiny416 Xplained Nano evaluation kit is a hardware platform for evaluating the ATtiny416 microcontroller. Supported by Atmel Studio free integrated development platform, the kit provides easy access to all device I/O, one button, and one LED.